Site address & directions: Brandy Cove Road, Bishopston ( Follow the lane at the end of Brandy Cove Road, down past Hareslade on your right and past the water treatment plant on the left. We are just past this through the gate on the right hand side of the lane). 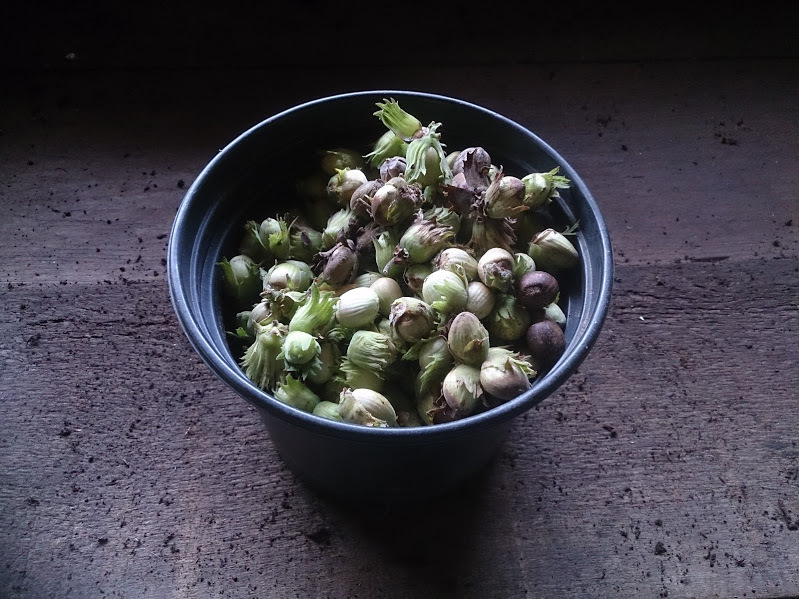 Some of the Hazelnuts collected by students from Gower College. 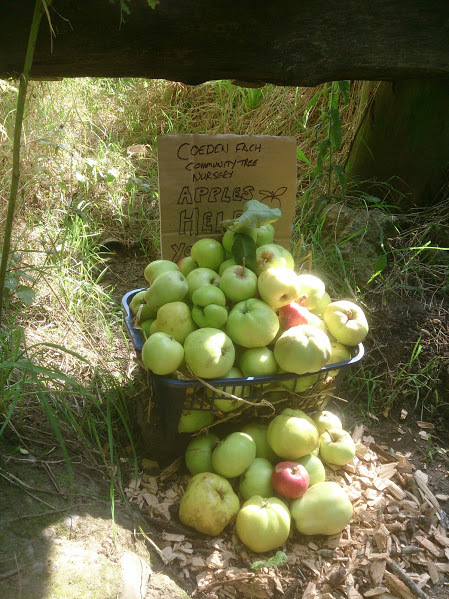 Our orchard has produced too much fruit for us to deal with this year. Volunteers can take as much fruit as they want but we still ended up giving it away! 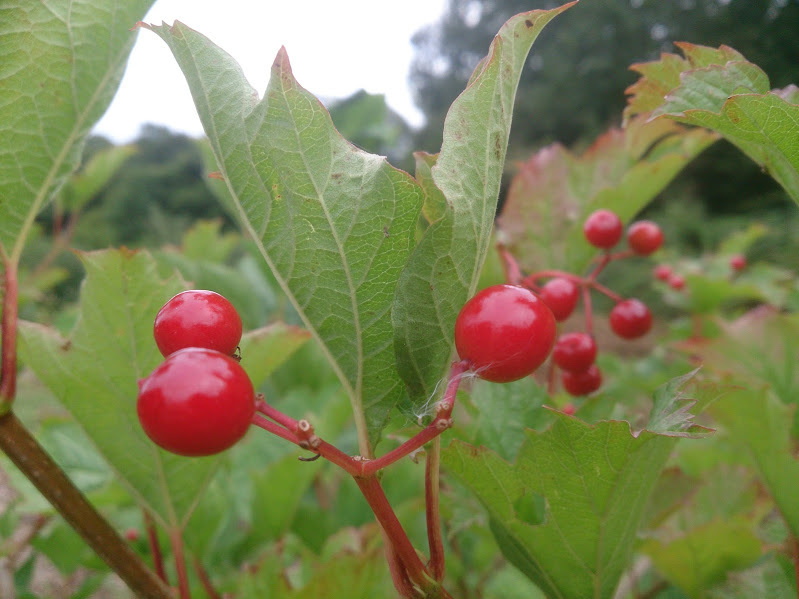 One of our lesser known indigenous hedgerow plants, the Guelder Rose, showing its beautiful vivid red fruit. 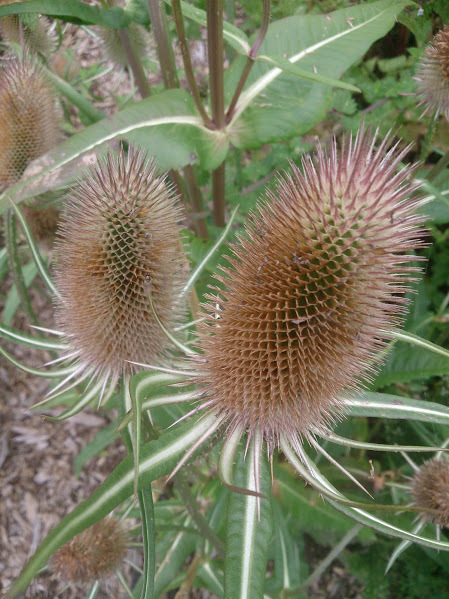 Teasel heads in our forest garden.